My research emphasizes ecological processes in lakes, wetlands, and streams, and hydrological and biogeochemical aspects of catchments. 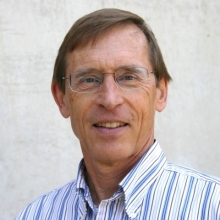 He has conducted multi-year studies in eastern Africa, tropical South America and California, including research at Mono Lake, on Amazon wetlands and their ecology, on high-elevation ecosystems in the Sierra Nevada, and on the hydrology and solutes of streams bordering the Santa Barbara Channel. He is an elected Fellow of the American Geophysical Union and American Association for the Advancement of Science. He played a seminal role in the creation of the Bren School, and is the faculty advisor of the University of California’s Valentine Eastern Sierra Reserve near Mammoth Lakes.